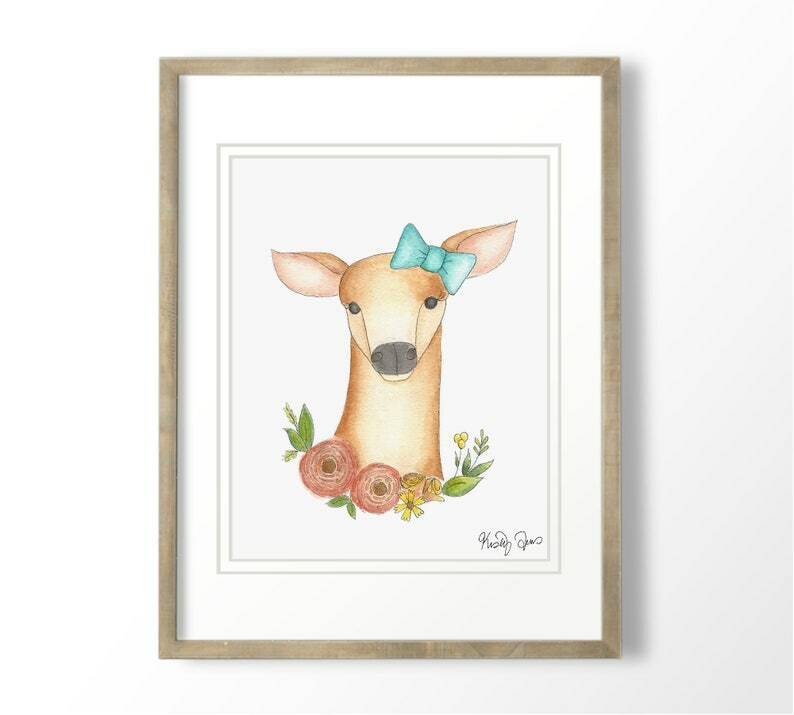 Print of an original fawn watercolor painting for a baby girl's room. All of my artwork is thoughtfully imagined, sketched, and hand painted by me. I scan, touch up my work to match the original, and print each print myself. You can be assured that the whimsical art in my shop that you choose for yourself, child's room, or as a gift is lovingly handmade from start to finish.